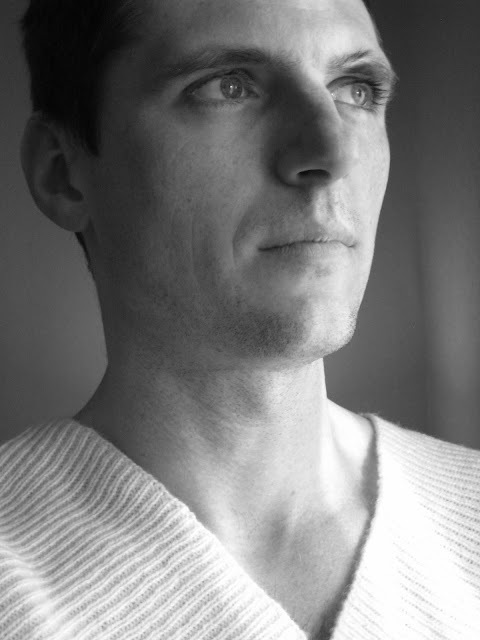 Please welcome new name in fashion business – Kristian Steinberg! 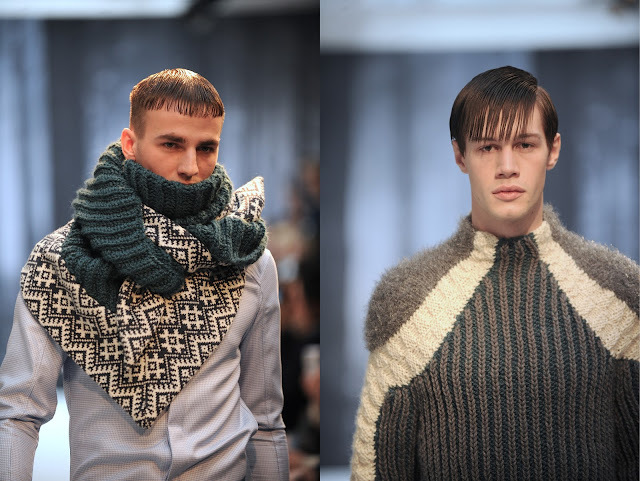 Born in Estonia, grew up in Sweden and now based in London designer had his debut menswear show for AW11 at February. 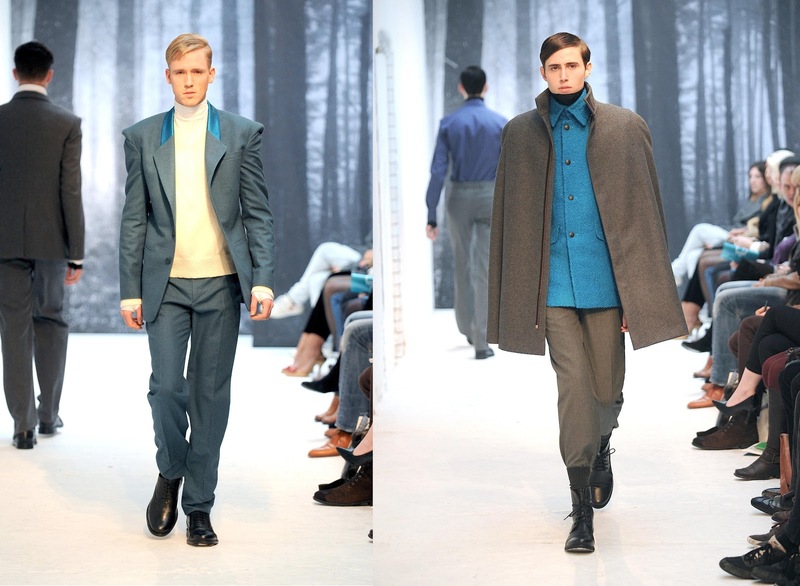 The first collection was inspired by Estonian history, military, abandoned bunkers and colorful coast of Baltic Sea. I’m a visionary, I’m not afraid to take risks and I’m prepared to work extremely hard. I question things all the time, analyse others and myself and therefore Soviet Union really wasn’t a place for me. I’m very rebellious also and generally find my own path in life. I have a dry sense of humour and I once played a practical joke that went on for a week and a half. It was at my 4 year at Uni, and I pretended to the 120 new students that I was a young, very nerdy exchange student who didn’t speak Swedish was generally lost all the time and I wore to most ridiculous suspenders that raised my trousers to uncomfortable highs. I loved it! - Why do you choose men’s fashion? I can’t find anything to wear, so there must be other men who think there is a lot missing in what is offered for men currently! When you start designing you have to find that something that is missing and that you would be able to do better than everyone else, and I believe I have signature that many men would enjoy. 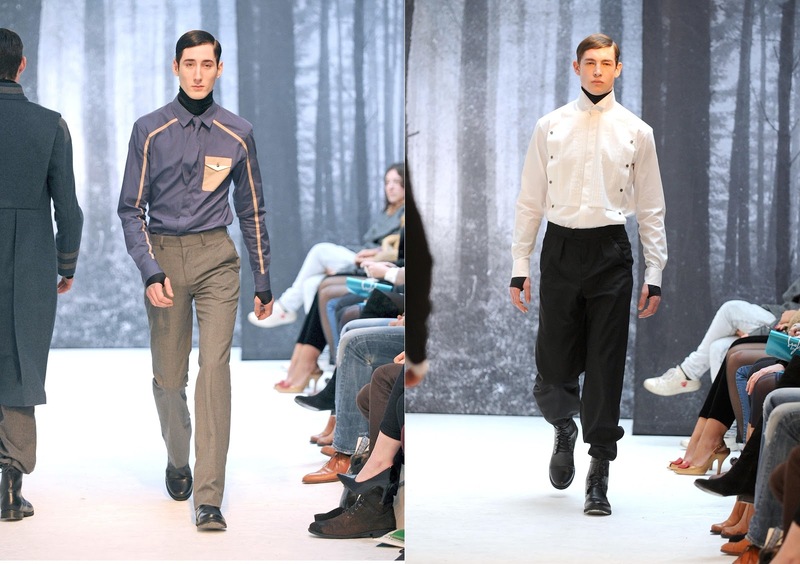 It was a shirt for the student fashion show at the Swedish Academy of Fine Art & Crafts. It was a mixture of Technical Lurex and traditional shirting and somehow already defined my experimenting nature and a need to knock down conventional things. I always say that music fuels my creativity but when I work on a collection I use a huge variety of visual references. In general photography and architecture are an endless source of ideas for me and really move me emotionally. - Do you have some habits, special rituals or formula for creation? Haha, I whish I had time for rituals! No, I must work as fast as possible and switch on my creative mode at any time. No designer has the luxury to wait for creative mood. My historical references vary a lot and I don’t normally base too much on vintage. My aim is to create something new and different and usually I research for details rather than designs and try to differentiate myself. I guess I’m mostly interested of the future and futurism so things that really get me going are brands like Bang & Olufsen and Lamborghini and works from architects like Zaha Hadid. - Before you decided to move into fashion world you where studying chemistry. Do you see some similarities between these two different fields? Does the chemistry help to create clothing and the whole concept of your work? Not directly, but at the Royal University I learned how to learn things and I have been very considered in the way I have prepared my self for becoming a designer. I did a mixture of courses, work internships and own projects with one main goal, to learn. -What do you think about things like exaggerated glamour, sexiness/body cult, etc in fashion? They are vulgar to me but having said that, they can be very entertaining and funny also. I must confess that the natural human anatomy fascinates me endlessly, and ever since art school where I did a lot of live drawing of young and old, skinny and large models, I always loved what the nature has created in the shape of the human body. Our bodies are a wondrous design and it’s not surprising many of us become totally obsessed by what we see or want to see in it. - What are the basic values for you as a creator? Of course I want to make a difference and always remain innovative. I also think that what I say and how I say it makes a difference, so I’m aware of the way that I work as well as what I design. For the AW11 collection for example, I used many private and small manufacturers giving them business opportunities and highlighting the beauty of traditional crafts. I also created a project for tailoring graduating students and gave them the first chance to work for a fashion label and showcasing their work on the international stage. I don’t see fashion industry as a separate world, it is an organic part of the society and should function as one too! - How would you describe a person who wears your clothes? He is a “Culture Vulture”, opinionated and articulate in style. He reads alternative style publications and enjoys being individual and different. He is the post metrosexual man who finds a much more masculine edge to his grooming routine and has a more subtle style. I would be a photographer and who knows it might be when I end up doing once I feel I’ve said what I needed in fashion. A picture says more than 1000 words and as much as I speak I often feel words are not enough. I love both art photography and documentary and I feel a photo is just as life changing as a film or a peace of music. Who can forget the napalm drenched girl in Vietnam that chocked everyone to the core or the works of such photographers as Guy Bourdin or Joel Peter Witkin?! I love doing collaborations where everyone is bringing something different to the table! I have a couple of interesting manufacturer collaborations in the pipeline and I also work with a dance singer who is absolutely fabulous! I think you have guessed that I have real weakness for musicians and I hope I will be able to work with more artists. My dream would be Thom Yorke or Trent Reznor who is the amazing Nine Inch Nails. 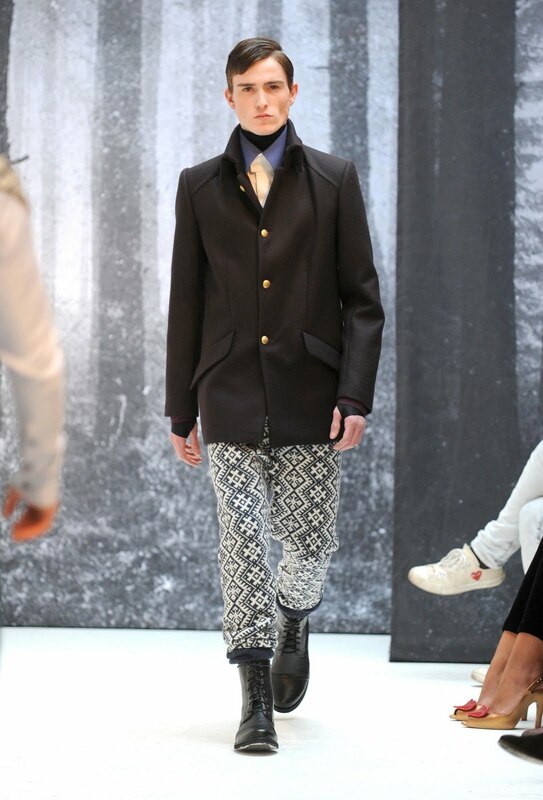 Great talent!I'll keep my eye on his upcoming collections!